Another review for today. 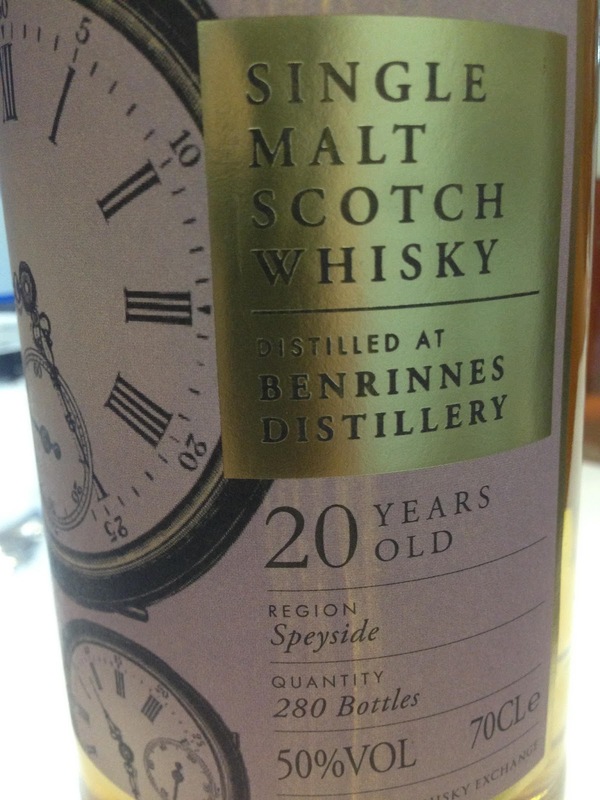 It’s a Benrinnes from The Whisky Exchange’s new range, Time Series. The others are a 15yo Speyside GlenCOUGHfarclas, an 11yo Ledaig and an 8yo Glen Moray. I’ve reviewed the Ledaig already and it was fantastic, so I had high hopes for this one before I heard people raving about it around the Whisky Exchange stand. Benrinnes should be well known on r/scotch for the 23yo special release. It does partial triple distillation, like Springbank and has worm tub condensers, so creates a pretty sulphurous style sometimes. Nose: Amazingly fresh and fruity, a wonderful nose. Citrus-y and slightly tropical. Taste: Very fruity to start, very strong and full flavoured. Very very spicy, overwhelming ginger and oak. Water tames it too much. Finish: Medium/Long length. Fresh fruit, some spice lasts. The nose doesn’t really prepare you for the intense spicy taste. According to the website, this is from a Bourbon cask. Although the nose is lovely, the taste is really unbalanced by the spiciness.